With the economy, job losses and medical bills, it is not that uncommon for people to rely on credit for unexpected and expected expenses such as food, clothing and utilities. Unfortunately, this can lead to slipping so deeply into debt that it is hard to find your way back out. If you are facing this dilemma, you need to talk to an experienced bankruptcy attorney about your options for eliminating or getting out of debt and/or filing for bankruptcy. Let us be your Bankruptcy Attorney in Knoxville. Considered the fresh start, this is also called straight or liquidation bankruptcy. The bankruptcy trustee cancels many or all of your debts. The court will see if there are assets that can be liquidated to pay creditors. However, this rarely results in a loss of debtors’ home, vehicles or personal property. 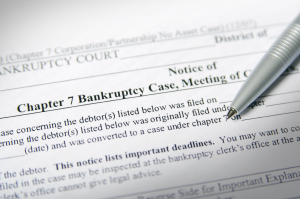 Let us help you with chapter 7 bankruptcy in Knoxville. This is a reorganizational chapter where people with regular income can save their home from foreclosure through a repayment plan. This is unlike Chapter 7 bankruptcy, where most of your debts are cancelled but you may have to surrender some property to the bankruptcy trustee to pay your creditors. 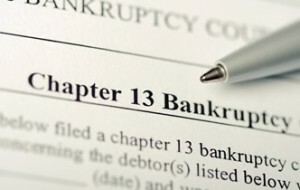 Let us help you with chapter 13 bankruptcy in Knoxville. Choose the best Knoxville Bankruptcy Lawyer. Contact Us today!